Shade sails provide a safe and healthy environment where students can learn and play. If you’re looking for an inexpensive feature and playground canopy, the Sailshade is the right shade solution for you. This type of shade is mounted on 3 or 4 posts with a sail shaped fabric stretched between the posts. The Sailshade is made from high-quality fabric to ensure it provides a convenient shade solution that lasts for years. The Sailshade is an ideal playground shade for schools as it enables year-round outdoor play. As a smart and vibrant playground shade solution, the Sailshade can be configured to suit the specifications of your school’s playground. Its high-quality shade cloth is designed as a durable and stable outdoor fabric for use in tension structures. With the Sailshade, you have the confidence that students are safe and comfortable during playtime. The playground canopy adds a focal point to any playground while its high-quality fabric provides 98% UV protection. This helps protect your students against harmful UV rays and extends the lifespan and quality of your playground equipment. Another benefit of shade structures is that they aid in elevating energy efficiency. Purchasing outdoor fans or heaters becomes unnecessary as the layer of insulation our shades provide is sufficient to maintain a comfortable temperature. 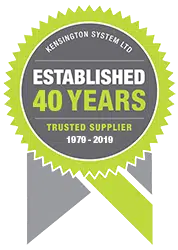 At Kensington Systems Ltd, we make sure our clients from the educational sector obtain the playground shade canopy that matches their school playground needs. Our team ensures a hassle-free process from initial design to final installation. You can work directly with architects and contractors to make sure our canopies are tailored around your requirements.